Modern markets are highly competitive. Whatever the niche is – furniture, textiles, artwork, home décor, anything – if producers want to succeed, they should actively participate in various trade events. 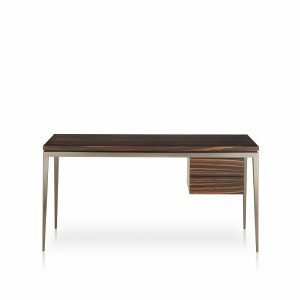 Bellavista Collection – a well-known company that offers Italian luxury furniture along with a number of other items related to interior design – knows it cold. The brand of Bellavista was introduced to the public in 2010 at a prestigious trade event. 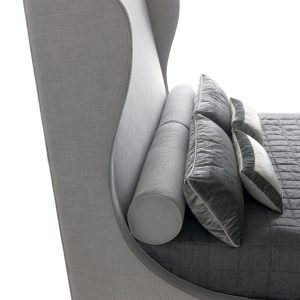 It was Salone Internazionale Del Mobile (Milan Furniture Salon, a.k.a. iSaloni) that saw a newly created brand for the first time. Ever since then, every year Bellavista Collection participates in this Fair – as well as in the number of other influential exhibitions. Semiannual fair Maison et Objet that takes place in Paris is among them. Since 1995, this multi-sector and cross-industry exhibition is held twice a year – in January and September. The nearest edition is going to take place at Paris Nord Villepinte exhibition centre; it will last from September 7th to 11th, 2018. Maison et Objet has become one of the most significant European trade events. It’s a grand meeting place for thousands of professionals in numerous spheres related to lifestyle, design and décor. In January 2018, this exhibition attracted 89,495 unique visitors, about 50% of them were from countries other than France. Most of these international visitors came to Paris from European countries; also, many of the visitors were from China, the USA, Russia, Japan, South Korea, and India. As for exhibitors, there were 2,729 of them in total. Less than a half of the exhibitors – 1,060 – were from France. Other 1,659 represented 63 countries, showcasing 3,041 brands, 647 of which were new ones. Maison&Objet is intended for professionals only. According to Visitor satisfaction barometer (2017), 97% of the visitors were searching for new suppliers, and 92% were looking for new products. Paris Design Week, which is an extension of M&O, welcomes everybody who loves good design. It takes place on September 6th – 15th, 2018. CRAFT section (Hall 5A) is devoted to handicraft and ornamental arts. Craft artists and manufacturers of various limited-edition pieces showcase their products here. UNIQUE & ECLECTIC section (Hall 5A and 6) is a place where patterns and motifs from all over the world meet. If you are looking for decorative elements or furniture that is really one of a kind, you’re most likely to find it in this section. TODAY section (Hall 6) offers its visitors to immerse themselves into the atmosphere of creativity and avant-gardism. Here well-known designers and young promising talents display their sundry brainchildren side by side. The range of exhibits includes virtually everything related to contemporary lifestyle. FOREVER section (Halls 7 and 8) unites producers of luxury items and creators of home fashion concepts. Style and elegance – that’s what all the items exhibited here have in common. 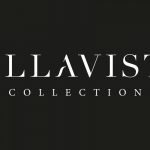 Renowned brands, high-end pieces, sophisticated designs that never go out of fashion… No wonder that Bellavista Collection will showcase its exhibit items in this section, namely in Hall 7, Stand F126 / G125. Objet hub sections offer a great variety of items, grouped into seven sections. COOK & SHARE section (located in Halls 1 and 2) offers everything connected with cooking and eating (except food). SMART GIFT section that partly occupies Halls 2 and 3 will provide you with plenty of ideas as to gifts. Get inspiration and master your art of giving presents. KIDS & FAMILY section in Hall 3 displays products made to please children and boost creativity of their parents. Look here for furniture, toys, various decorations, textiles and many other things you will definitely need when furnishing a child’s bedroom. FASHION ACCESSORIES in Hall 4 shows a great variety of clothes, jewelry, bags, scarves, and various accessories for anybody who wants to look unique and unforgettably. HOME ACCESSORIES (Halls 4, 5A, and 5B) offers objects you need to give personality to an interior. Looking for something special but don’t know what exactly you need? This section is for you! HOME FRAGRANCES is located in Hall 5A displays a wide selection of perfumed products. Here you will find everything for a home that smells good – well, except food. Candles, air fresheners, aromatic bath oils and salts, body washes, tonics and shampoos, etc. Choose fragrance that will add an aromatic note to the comfort of your home. HOME LINEN (Hall 5A). Here you will find all kinds of home textiles: bed linen, tablecloths, towels, comfortable clothes to wear at home, and much, much more. Discover the feel of domesticity. MOM: Make M&O Last Forever! Trade events end, but networking doesn’t. The digital platform called MOM (Maison & Objet and more) enables all trade professionals stay in touch all year round, 7 days a week. MOM boasts of 2 million online visitors per year, all of them are industry experts (one should be a trade professional to register in MOM). 52% of the MOM visitors are specifiers, 48% – retailers, and 72% are from countries other than France. It makes MOM a perfect place to find the latest products from renowned brands and showcase your own. Also, you will be able to directly get in touch with manufacturers, designers and architects – just like at M&O. With MOM, you can arrange meetings with exhibitors when planning your next visit to M&O. Bellavista’s showpieces will include its Orient-inspired Dulcechina collection – an assortment of Italian luxury furniture designed by Attilio Zanni. Bellavista recently displayed it at Milan Furniture Salon, where it participated together with Luciano Marcato, a well-known Italian textile manufacturer. So, should you visit Paris between September 7th and 11th and feel like attending Maison et Objet 2018 in person, you will be able to see Dulcechina collection at Stand F126 / G125, Hall 7 in FOREVER section of Maison hub. What is more, Bellavista is going to return to Maison et Objet shortly after – with preview products of the new 2019 collection. They will be displayed from 18 to 22 of September in Paris, and in April 2019 the new 2019 collection will be presented to visitors of Salone del mobile 2019.